Designer Jørgen Møller has developed products such as clocks, weather stations, thermometers and candleholders for the company Georg Jensen since 1981. The product series in the shape of an elephant is especially popular. Next to a money bank, a bottle opener and a bag holder, the elephant keyring is part of this collection by Jørgen Møller. The high-gloss polished stainless steel pendants looks elegant and lively in combination with the contrasting material of the leather band. 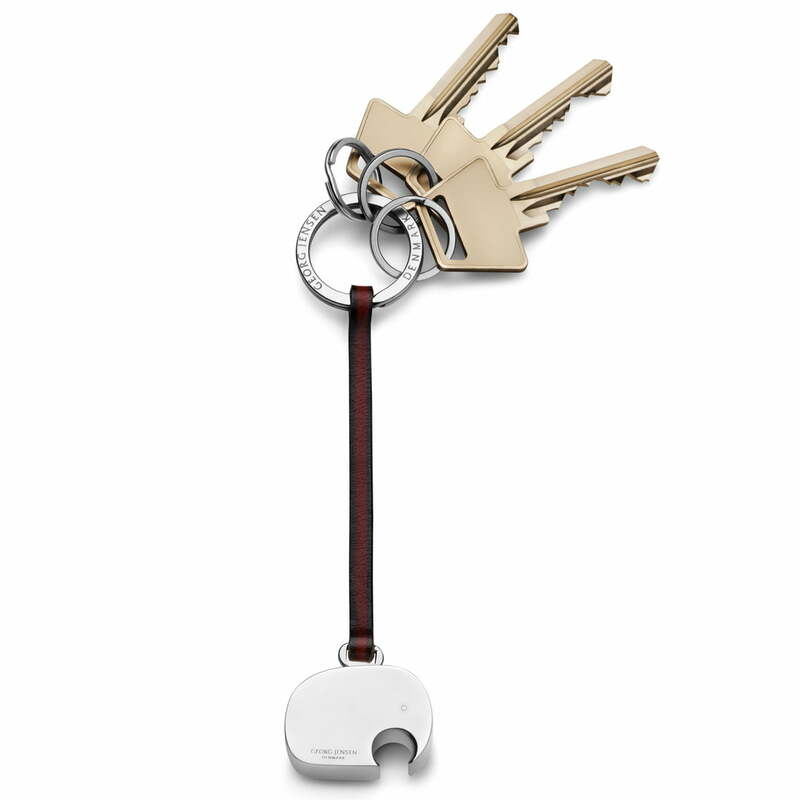 Like all keyrings by Georg Jensen, the elephant keyring's main purpose is its functionality. Keyrings by Georg Jensen can be found easily at the bottom of any bag and they will quickly become a personal object in day-to-day use.